Hammer has one round and one peined hooked face which is great for those hard to reach areas! 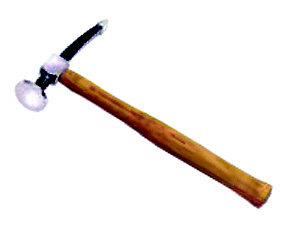 This hammer is also a very popular auto body tool. Handle is hickory.